There are approximately 73 million millennials in the United States. While there are many terms about this generation, a millennial is usually defined as someone born between 1981 and 2004. They are poised to be the largest adult generation when the new census is completed in 2019. The silent generation is shrinking and the boomers are declining rapidly. For your nonprofit, that means you have a group of 73 million people who are in their late 20s and early 30s looking for ways to get involved in their community. It also means that your current donor base is disappearing. We get asked all the time for the best ways to engage the millennial generation. We always hear that this group is self-absorbed, unaware, unprepared for the real world and selfish. That is simply not true. According to Forbes, 63 percent of millennials donate and 43 percent actively volunteer. While this generation grew up differently than their parents, the basics of fundraising still hold true: if donors have an interest in your organization, capacity to give and are asked, they will support that organization. You may need to switch up your approach to solicit and steward these donors. It may be different than what you are currently doing, but it will be beneficial to your organization in the long run. Use your social media and website to tell your story. If this generation has a question, they google it. If they google your organization, what will they find? Outdated information? Websites that aren’t mobile-responsive or are difficult to read? Make sure to update your website and, when creating or changing website content, keep your donors needs in mind. The same goes for when the millennial generation searches you on social media. If you have a Facebook, use it. If you don’t use it, take it down until you do. Having an old page screams “we don’t care about this.” If you don’t care, they won’t either. This generation is weighed down with student loan debt and the pressures of navigating a difficult job market. They may not be able to give you a large monetary donation yet, but that doesn’t mean they aren’t valuable to your organization. The value of a volunteer hour was estimated to be $24.14 in 2016. Imagine if you had 20 people willing to give you a $25 cash donation. You would never turn down that $500 – and you should think the same way when it comes to volunteer hours. Some of the best and most engaged donors volunteer with the organization. Whether they start as donors or as volunteers, they are valuable. 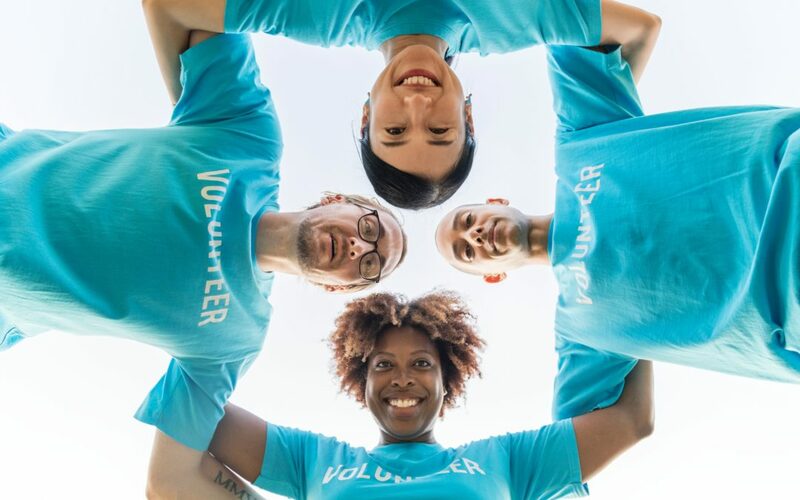 By encouraging millennials to volunteer, they will not only meet the short-term needs of your organization, but they may eventually become donors. Contact local high schools, colleges or universities to recruit groups for one-day or weekend warrior projects. Not only do you expose a large group of millennials to your organization, you are also accomplishing a large task. You might even get a few who want to stay involved. They could even help with a third-party event done on your behalf, where even more millennials would get involved. Overall, by partnering with millennial-heavy organization, everyone wins – the millennials, your organization and the audiences your organization serves. I feel like I say this in every blog post I write. Whether for an annual fund, social media or stewardship, tell your story. Do the same thing when engaging millennials. They want to hear who you help, what problem you solve and how they helped (or can help) you do it! Keep it short, simple and to the point. Use engaging photos and a conversational tone. Don’t bog them down with paragraphs about your mission, how long you’ve been operating or a general statement about how many people you helped. While this age group probably won’t respond to an old-school mailing, you need to find other ways to tell them what’s happening. Use your social media, e-newsletters, email or even text messaging to let them know what’s going on and what volunteer opportunities are available. Don’t overwhelm them with information, but make sure to keep them in the loop when it comes to your organization. If there is one thing millennials respond to, it’s being told they are doing a good job and being thanked profusely. In this world of instant feedback, a great experience with your nonprofit can turn into an Instagram post or a Snapchat story that is seen by hundreds of their friends. A bad experience can do the same thing. Make sure they know how much they helped and they’ll let everyone else know for you. Millennials may be a tough group to engage, but it isn’t impossible to engage with them. While most of your dollars may come from older generations, these twenty and thirty-somethings are your next donors. Think about them differently and approach them differently, and you’ll see results. As the older generations grow smaller and technology only grows more prevalent, you need to change your approach – or risk losing out.